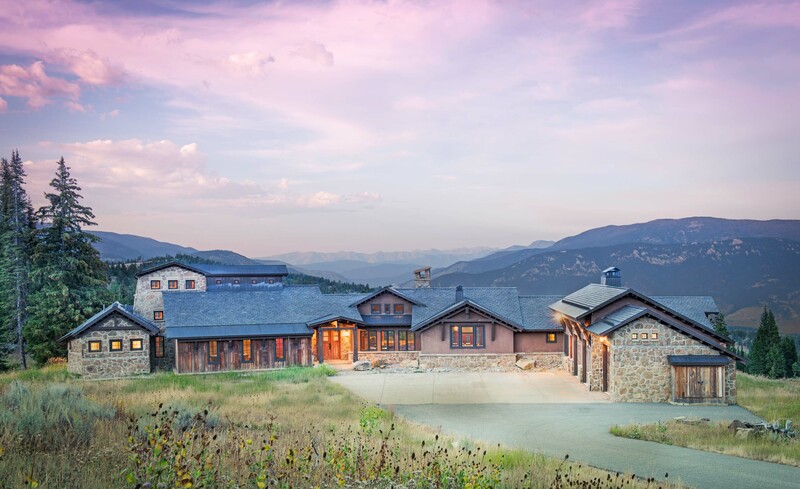 Set in a wildflower-filled mountain meadow, this Tuscan-inspired home is given a few design twists, incorporating the local mountain home flavor with modern design elements. The plan of the home is roughly 4500 square feet, and settled on the site in a single level. A series of ‘pods’ break the home into separate zones of use, as well as creating interesting exterior spaces. Clean, contemporary lines work seamlessly with the heavy timbers throughout the interior spaces. An open concept plan for the great room, kitchen, and dining acts as the focus, and all other spaces radiate off that point. Bedrooms are designed to be cozy, with lots of storage with cubbies and built-ins. Natural lighting has been strategically designed to allow diffused light to filter into circulation spaces. 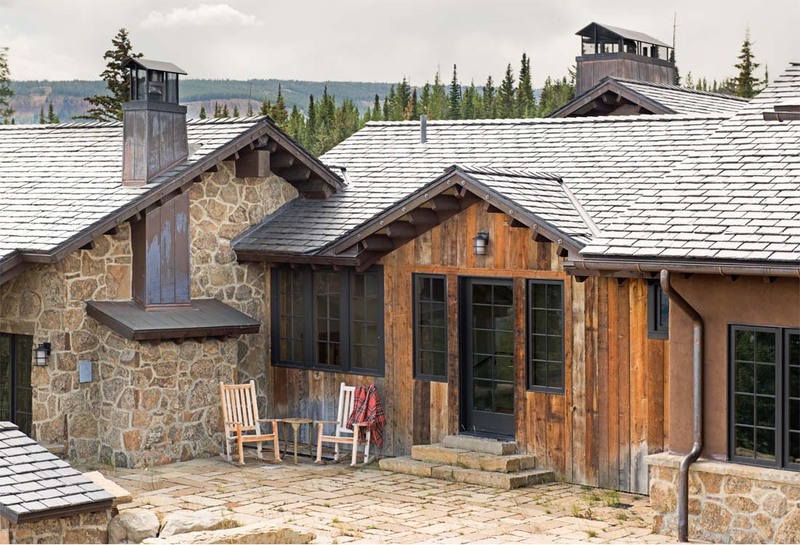 Exterior materials of historic planking, stone, slate roofing and stucco, along with accents of copper add a rich texture to the home. The use of these modern and traditional materials together results in a home that is exciting and unexpected.